Located in Zhongshan, this hotel is within a 10-minute walk of National Taipei University, Woman Street, and Siping Street Market. Miniatures Museum of Taiwan and Xingtian Temple are also within 15 minutes. Xingtian Temple Station is 6 minutes by foot and Songjiang Nanjing Station is 13 minutes. Along with a restaurant, this smoke-free hotel has a fitness center and coffee/tea in a common area. Free buffet breakfast, free WiFi in public areas, and free self parking are also provided. Other amenities include a meeting room, concierge services, and dry cleaning. All 135 rooms offer free WiFi and free wired Internet, LED TVs with cable channels, and comforts like pillow menus and down comforters. Other amenities available to guests include free minibar items, refrigerators, and electric kettles. The hotel offers a restaurant. A complimentary breakfast is offered each morning. A computer station is located on site and wired and wireless Internet access is complimentary. Event facilities measuring 334 square feet (31 square meters) include a meeting room. This business-friendly hotel also offers a fitness center, tour/ticket assistance, and multilingual staff. Limited complimentary onsite parking is available on a first-come, first-served basis. HOTEL COZZI Minsheng Taipei is a smoke-free property. 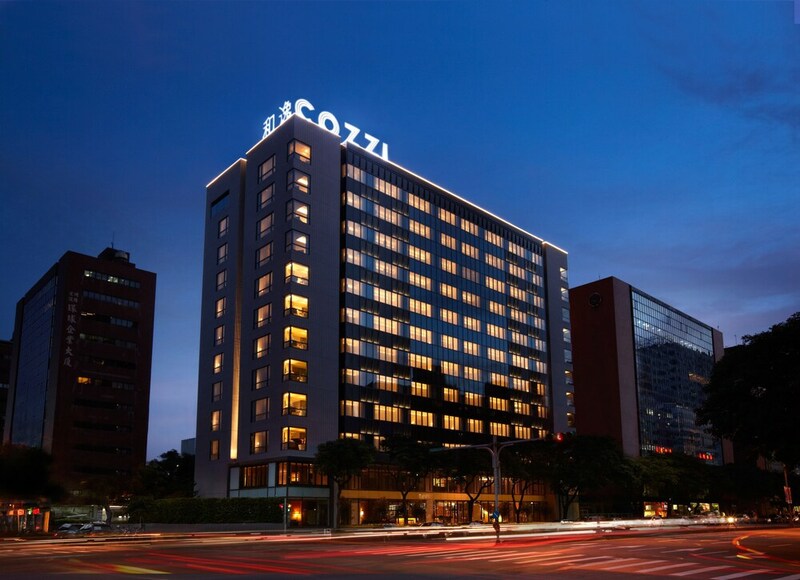 HOTEL COZZI Minsheng Taipei has a restaurant on site. Start your day with a free buffet breakfast, available daily from 6:30 AM to 10 AM. Guests who wish to bring a service dog must contact this property prior to arrival. For more details, please contact the property using the information on the reservation confirmation received after booking.